The 2018 Clyde Carols by Candlelight was an astounding success. 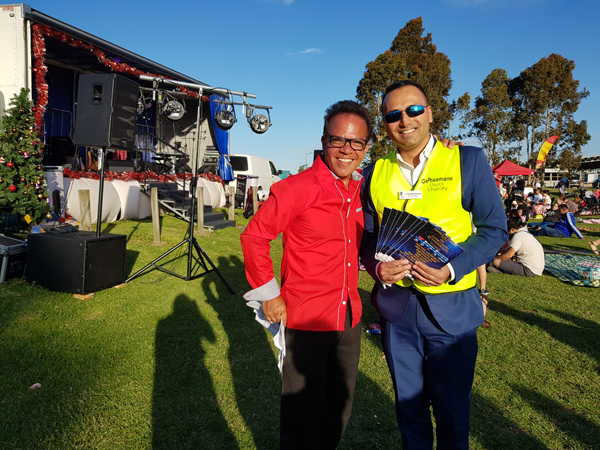 Pastor Kerrigan La-Brooy and his Team Gethsemane left no stone unturned when it came to delivering a night filled with fun and frolic to residents from the City of Casey and beyond. 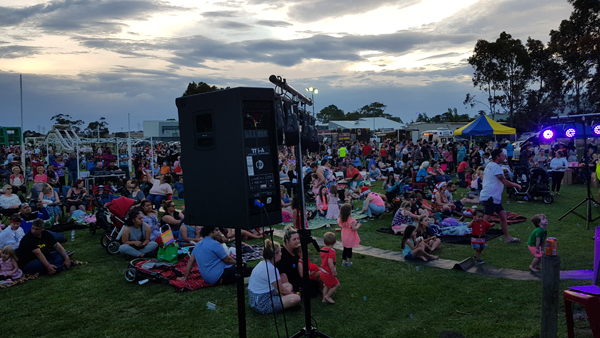 Presented by Gethsemane Church, sponsored by Barry Bourke Berwick and hosted at Hillcrest Christian College oval, many believe this to be the best carols event around and predict that it will be hard to match and will keep getting bigger. This includes the organizing, community involvement, song selection, performer talent and charitable giveaways. 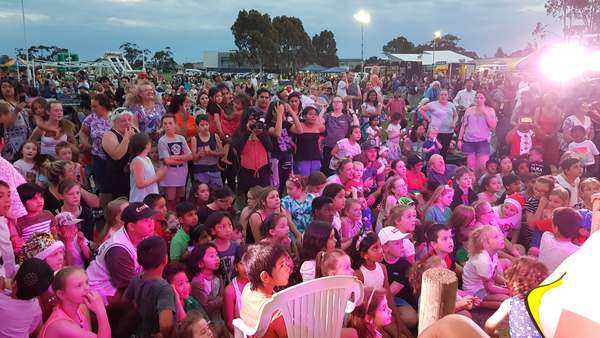 People of all ages and different races, religions and nationalities, showed up to celebrate social cohesion amidst the festive cheer and carnival atmosphere. Even the weather showed up at its best. Some travelled over an hour to be there and reckoned it was worth every kilometer. 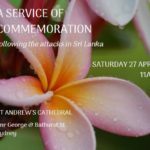 The heart and soul that goes into organizing this event will strike a chord with many. They don’t just talk the talk; they walk the walk. A whole years planning culminated in a perfect night. In less than 2 years Gethsemane Church Charity has extended their outreach far and wide. Saturday night’s event drew a crowd of over 4 thousand patrons which is staggering given the youth and size of the organization. Saturday morning’s weather was described as picture perfect – with not a cloud in the sky, north, south, east or west. 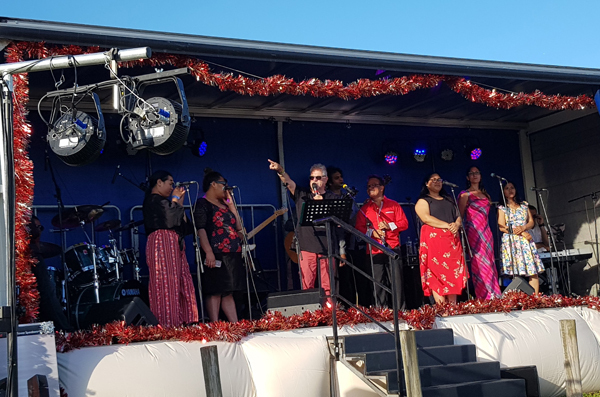 This was a well-deserved blessing for the Clyde Carols Organizers, given that their first year’s event coincided with Melbourne’s worst weather in decades; nevertheless, they’d rescheduled for a week later and eventually the 2017 night was a huge success as well. However, going from 1 thousand in their 1st year to 4 thousand in their 2nd, is no mean feat. It’s a mammoth effort. Over 600 children were treated to very generous lolli-bags, handed out by Santa who arrived aboard a fire truck. His Gethsemane Team elves helped him hand them out before the children posed for pictures afterwards. It was a kid’s magical kingdom, with around 8 rides and amusements to choose from, all absolutely FREE, including a flight simulator, carousel, chair-o-plane and wipeout. There were also pony rides which never seemed to stop. But with Gethsemane the Clyde Carols by Candlelight doesn’t end there. Every child present on the night was eligible to register for the free Christmas Miracle to be staged shortly, where every child will receive a personal gift. Councillor Damien Rosario was full of inspiring words to Pastor Kerrigan and his team for their generosity towards the community. Pastor Kerrigan, on behalf of Team Gethsemane, wishes to thank everyone for their contribution; the sponsors, donors, 30 km walkers, fundraisers, volunteers, vendors, congregation, charity, Casey Council, Hillcrest Christian College, the Mayor, councilors, MP’s, community, singers, musicians, performers, MC, radio, television, press, social media and most of all the Good Lord Above.